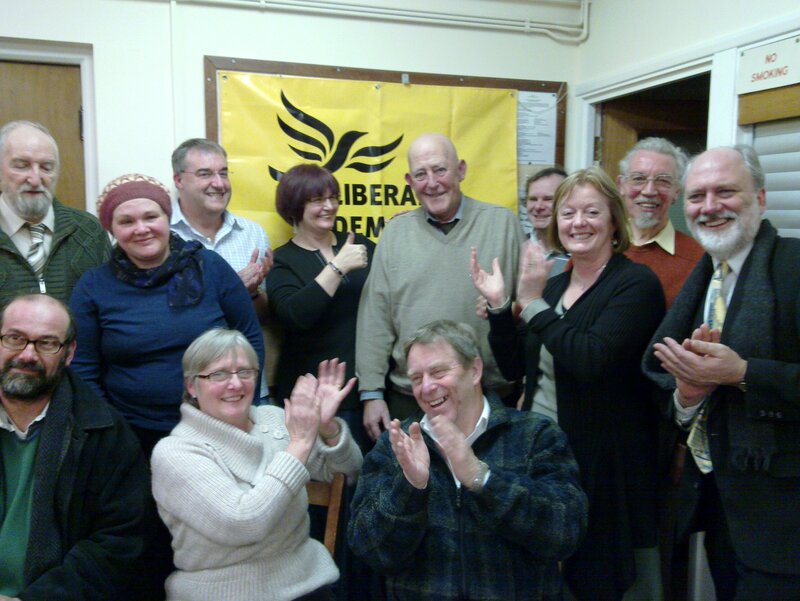 Local activist and campaigner Geoff Williams has been selected to fight the seat of South Basildon and East Thurrock for the Liberal Democrats at the next General Election. Geoff, who has been a local champion, successful campaigner and district councillor for many years, spoke to supporters this evening in the Allpress Hall at Dry Street Memorial Church. He made clear that this was a crucial election for Nick Clegg and the Liberal Democrats, the party’s gut instinct for fairness giving local people in South Basildon and East Thurrock a chance for real change at the election. In response to questions, he said he was keen to get the Liberal Democrat message out across the towns and villages that comprise the new seat, pointing out that places such as Bulphan, Fobbing and Horndon-on-the-Hill are often overlooked by politicians. In the meantime, congratulations Dad! Geoff is a popular choice. Years of dedication to helping the people of the district and consistently standing up for what is right and fair. Basildon’s independent minded constituents I am sure will recognise that if we want fairness and change from the old Tory and Labour seesaw politics then voting for Geoff and the Liberal Party is the only way to achieve it.